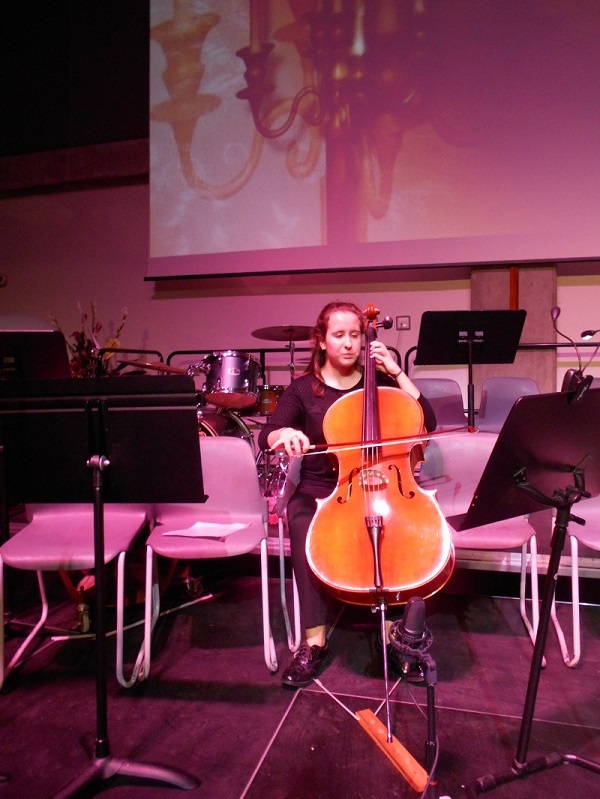 This year’s concert was held on Thursday, November 16th. The host for the evening was Amie Sullivan (12.1) who introduced the performers and was also a member of the Senior Choir. The first student to perform was the very talented musician, Andrei Anghel ( 12.5) who continues to delight audiences with his amazing piano solos. He played Liszt’s Liebestraum No. 3 eliciting the beauty and romanticism of the piece. The next item was a vocal solo from Deborah Jardine (11A) who sang Home from Beauty and the Beast. 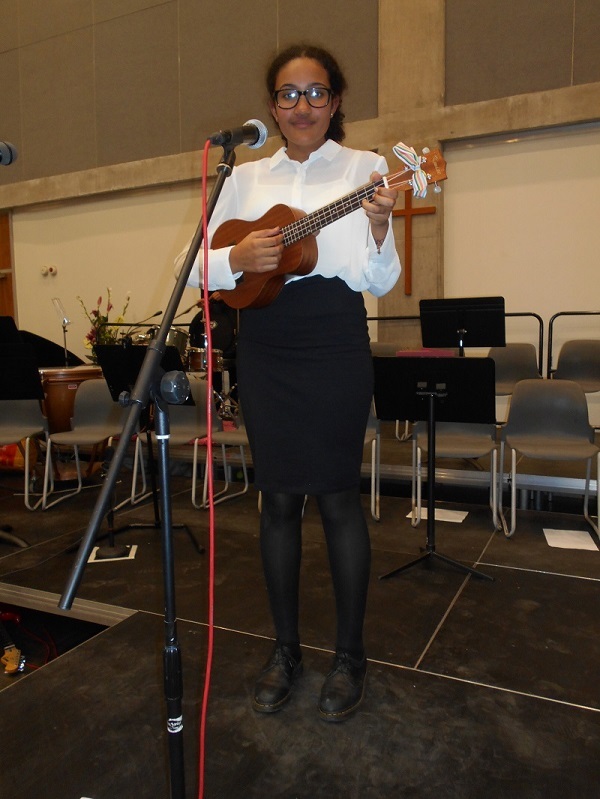 Deborah is already a veteran performer who has appeared in many of the school’s concerts and musicals. She gave a very expressive interpretation of the song which was very moving. Bishop Ramsey Orchestra conducted by Miss Jankauskaite, Head of Music, then played Autumn from Vivaldi’s The Four Seasons. This was followed by a piano solo from Reanna Gregory (11A) who played Dedicatoria . The Junior Choir got members of the audience tapping their feet to their lively performance of How Far I’ll Go from Disney’s Maona with a solo from Abigail Dowsett. 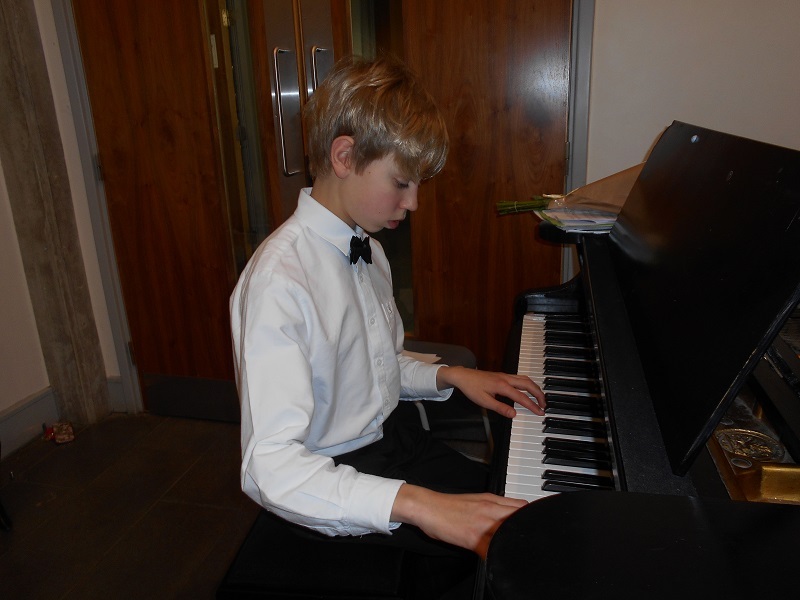 The next performer was Alexander Williams (8E) who played Staccato Beans by T.Dun on the piano. Alexander is not only an accomplished pianist but he plays the trumpet in the Jazz Band with students older than him. He recently played The Last Post at the school’s Remembrance service. A lively and entertaining drum and piano duo was next on the programme. Jacob Hosten and Ethan Francis, both in Year 10 played Jazz Improvisation on C. Following this item was a solo played on the ukulele by Elizabeth Viala (10A) who accompanied herself singing How Sad We Are which she wrote. The words were thoughtful and hauntingly optimistic. Elizabeth is a versatile composer and musician who also plays the flute in the orchestra. The Jazz Band followed playing All Blues which was first performed in 1959 by its composer Miles Davis. Georgina Wright, a Year 11 GCSE Music student, then gave a virtuoso performance on the cello, playing The Swan by C.Saint-Saens, a beautifully melodic piece of music. 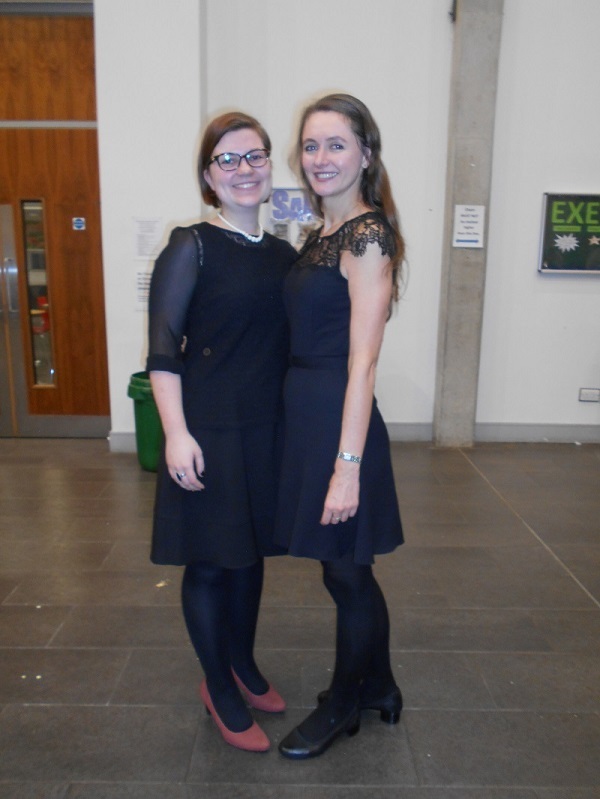 Georgina is also a member of the Senior Choir and plays in the orchestra. The first half of the concert was brought to a close by the Senior Choir conducted by Miss Rottman who performed Someone Like You by Adele with soloist Katie Hall. The second half was opened with a brilliant violin solo, Hungarian Dance by Brahms performed by Jacob Hosten. This was a demanding piece which Jacob executed very professionally. His performance was greeted with appreciative applause from the audience. Like many of the students who play more than one instrument, Jacob played the piano in the duo in the first half of the concert. Bishop Ramsey Orchestra followed Jacob’s performance with Handel’s Water Music. Miles Da Silva (11A), a member of the Jazz Band, gave a memorable performance of the lively Neapolitan Song by Tchaikovsky. The next item on the programme was Debussy’s beautiful melody Claire de Lune played on the piano by Yehee Lee (11M). A notable performance of the evening was from Amber Powell (12.3), an A Level Music student, whose solo vocal performance was Just The Way You Are by Bruno Mars. The rich quality of Amber’s voice was very powerful. A flute solo followed which was performed by Lianne Ho (12.8) playing Bach’s Badiniere. Next on the programme was a joyful, swinging tune, Forget You by Ceelo Green, performed by the Junior Choir who were this time conducted by Year 13 student, Sophie Philbrook and accompanied on the piano by Miss Rottmann. This was followed by a foot-tapping performance of Fever by the Jazz Band and the Senior Choir’s performance of Last Time By Moonlight. The penultimate performance of the evening was provided by the Musical Theatre Club which was comprised of some “old hands” and new recruits who entertained the audience with a great performance of Wicked through the Window specially arranged by Miss Rottmann. The evening came to a close with the Bishop Ramsey Orchestra’s performance of Purcell’s Rondeau. The audience showed how much they had enjoyed the evening by the lengthy, warm applause the performers received. Mr. Wilcock, Headteacher, congratulated the students for such a great concert. He said he was optimistic for the future as many of the students would be at the school for a number of years to come and continue to contribute to the success of music concerts. He paid particular tribute to the commitment of Miss Jankauskaite, who has only been in post since September, for arranging such a fantastic concert and who was greatly supported by Miss Rottmann. I am sure that everyone who attended the evening would wholeheartedly agree with him.